Hungarian oil and gas group Mol is to raise the wholesale list price of 95-octane gasoline by HUF 4 litre and that of diesel by HUF 8 per litre on Wednesday. 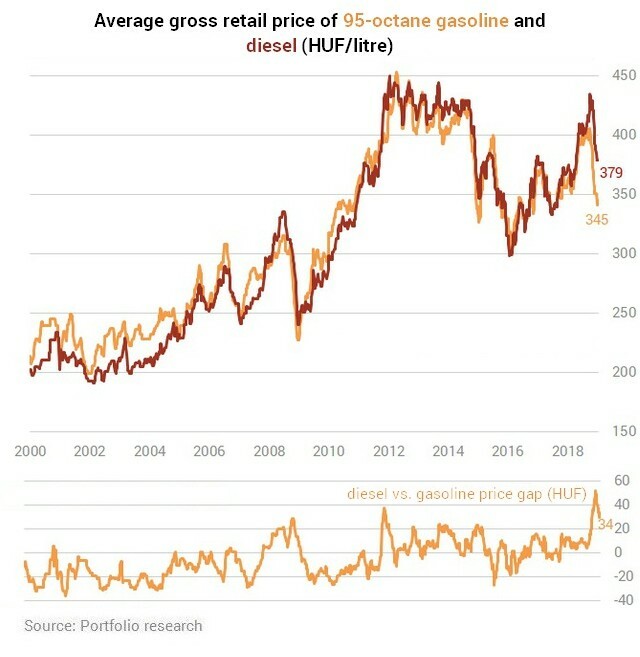 The average price of gasoline is going to be HUF 345 per litre and the average price of diesel is set to rise to HUF 379 per litre. Before that it cut the price of petrol by HUF 10 to HUF 341 per litre on 4 January. Motorists may find differences of up to HUF 50 per litre at the pumps, depending on the location and pricing strategy of the given petrol station. The average price of gasoline reached its peak in early April 2012 at HUF 451 and the price of diesel was the highest at HUF 449 on average in mid-January 2012.